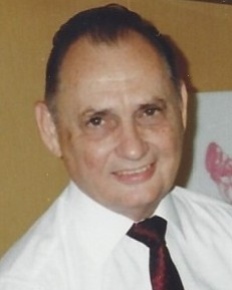 Zachary J. DuBose passed away peacefully at his Metairie home with his family on Saturday, March 30th, 2019. He is survived by his beloved wife of 65 years, Josephine Bertucci DuBose. Father of Beatrice Parisi (Tom), Zachary DuBose, Jr., Ronald DuBose (Donna), and Anthony Taylor DuBose (Annette). Grandfather of Brian, Shawn, Anthony, and several step grandchildren. Great grandfather of Saphire DuBose and several step grandchildren. Son of the late Zachary Taylor DuBose and Antoinette Frisch DuBose. Brother of the late Antoinette Montebello. Also survived by special cousins in New York. Zachary retired from Jax Brewery and Federal Land Bank. Family and friends are invited to attend the Funeral Mass on Wednesday, April 3, 2019 at Our Lady of Divine Providence, 8617 W. Metairie Avenue. Visitation will be from 12:00 noon until 1:00 P.M. Interment to follow in Hope Mausoleum. In lieu of flowers masses preferred.